"He just started clawing at me and slipped out of my arms." At approximately 9:43 p.m. on Sunday, October 8th the Tubbs Fire broke out in Calistoga, twenty-seven kilometers northeast of Santa Rosa. The fast-moving blaze traveled nineteen kilometers in the next three hours and was rapidly closing in on Santa Rosa. Evacuations began at 1:30 a.m. the following morning and on Skyfarm Drive, south of Mark West Spring Road, Dani and Boyd Stockham roused their teenage daughters, fifteen-year-old Lea and sixteen-year-old Grace, and prepared to join their fellow neighbors in fleeing the approaching holocaust. "Get up, get dressed. We got to go," Dani told the girls according to the November 29th edition of the San Francisco Chronicle. (See "Tubbs Fire Victims Thought Their Cat Was Dead and Buried. He Wasn't.") "There's a fire and it's close." Corralling the girls was easily accomplished in that they did not require any persuading as to the danger that the fire posed to their continued existence. 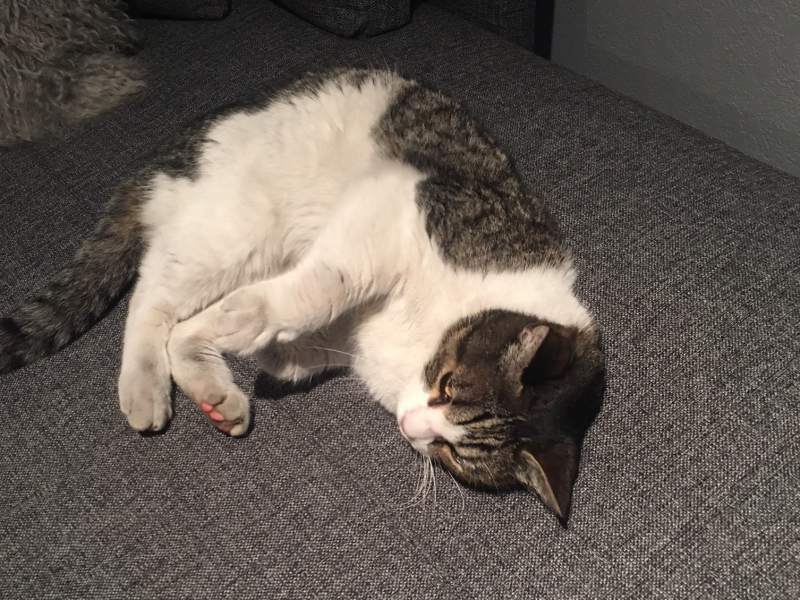 It was an entirely different matter, however, when it came to the family's thirteen-year-old, gray and white resident feline, Thomas. "He just started clawing at me and slipped out of my arms," Lea told the San Francisco Chronicle. Neither she nor her parents even bothered to so much as go after him; instead, they left him to the mercy of the flames while they hightailed it out of Santa Rosa and to safety. They committed that unconscionable act of perfidy in spite of the fact that he had been an integral part of their family for more than a dozen years. "I got him when I was two (years old) and he was like my first animal," Lea confessed to KTVU-TV of Oakland on November 29th. 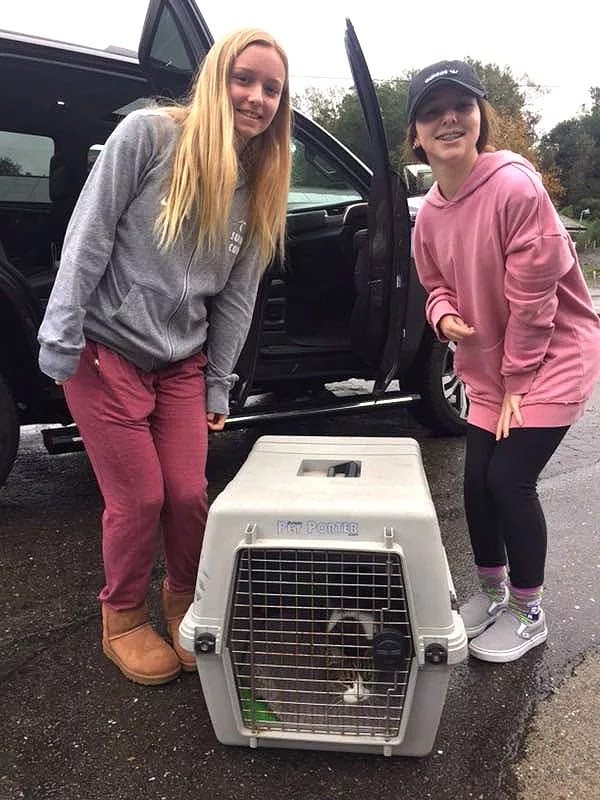 (See "Thomas the Cat Reunited with Family Seven Weeks after Going Missing in Santa Rosa Fires.") "Realizing that he was gone was terrible." Three days later on October 12th, the Stockhams returned to the burned-out rubble that once had been their dwelling and in Thomas' diminutive house on a porch they found the remains of a cat. "It was gray and white and you could just see fur on the back of the head," Dani later related to The Sacramento Bee on November 30th. (See "Family Was Heartbroken over Cat's Apparent Death in Tubbs Fire. Then They Got an Email.") "There was no doubt that it was Thomas." The family afterwards held a memorial service for him that included a printed program. It is unclear, however, what was done with the victim's remains. They could have been either buried, burned, or casually tossed out in the trash. After offering up their obsequies, the Stockhams soon forgot all about Thomas, which was certainly easy enough to have done considering all the other pressing matters that they had on their plates. Then, out of the blue, on November 26th they received an email letter from Avid Microchip of Norco, south of Los Angeles, informing them that Thomas was in fact not dead at all but rather very much still alive. "Initially we thought it was some kind of cruel scan," Dani later told the San Francisco Chronicle. Lea was every bit as incredulous as her mother. "When my parents said we got the email, I started crying because I was like, 'No way. This can't be happening'," she related to KTVU-TV. In fact, she was not fully convinced that he was still alive until she, Grace, and her father went and collected him from an undisclosed location. "I didn't believe it till I saw him like meowing and purring. He knew it was me!" she added to KTVU-TV. "It was amazing. I was so happy." Once she, too, had been convinced that Thomas was indeed still alive, Lea's mother was equally ecstatic. "Thomas is alive! I can't stop shaking!" she told The Sacramento Bee. "It's a miracle for our family with everything we have lost." On that point, Lea wholeheartedly concurred. "It was honestly like the best day I had since the fire," she swore to The Sacramento Bee. "It was the greatest day ever." As it later was revealed, Thomas had been found at around 2 a.m. on November 24th on Split Rail Court which is only 1.44 kilometers north of the Stockhams' old abode. Other than being emaciated and slightly injured, he was said to have been in remarkably good shape. That was rather amazing in itself in that he not only had been forced to elude the flames but to provide for himself in their aftermath for forty-eight days. How that he was able to have pulled off all of that remains a mystery to this very day. It likewise is puzzling that he never returned home. Of course, it is always conceivable that he did so on numerous occasions but never was able to find any of the Stockhams on the premises. Press reports have not delved into the matter but more than likely they were living elsewhere by that time because their house had been rendered completely uninhabitable. As it soon was learned, he had been found by fifty-three-year-old Shannon Jay of Forestville, eighteen kilometers northwest of Santa Rosa, who is employed as an officer of the United States Park Police (USPP), a division of the Interior Department's National Park Service (NPS). 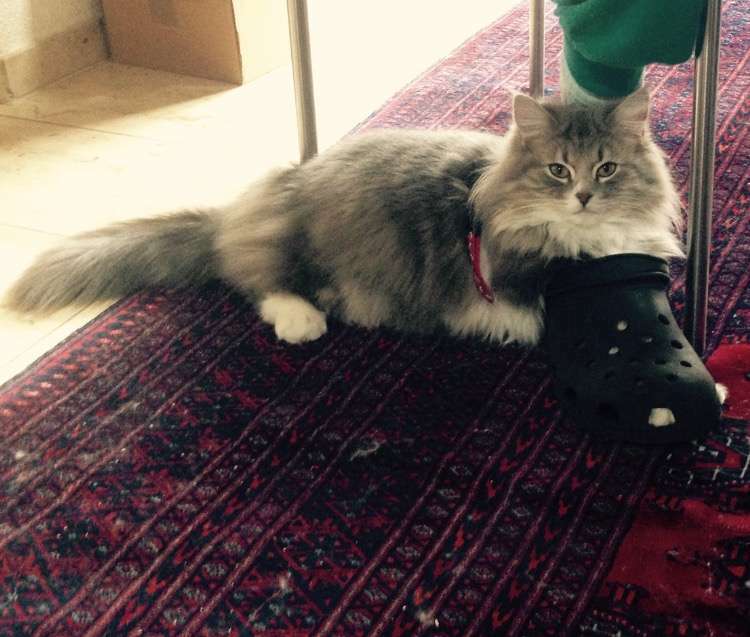 He currently is biding his time trapping cats while on sick leave after having had a benign tumor removed from his brain earlier in the year. "The idea that they're (cats) out there and people are grieving and (have) lost everything...to just bring that little beacon back to them, to just see how happy they are, it's overwhelming," he gushed to KTVU-TV. The positive identification of Thomas was made by, not surprisingly, an implanted microchip. The specifics have not been divulged but unless Jay has access to a universal scanner, that determination was made by either a veterinarian or, perhaps, Sonoma County Animal Services (SCAS) at 1247 Century Court in Santa Rosa which is serving as a de facto clearinghouse for animals lost in the Tubbs and other wildfires that broke out last summer and this autumn across both Sonoma and Napa counties. "Thank God for the microchip. It's such a simple thing," Dani exulted to KTVU-TV. "You just don't think it's going to happen, but (if) he wouldn't have been chipped, they wouldn't have contacted us and I don't think we ever would have found him." Best of all, Thomas apparently has come through his death-defying travails no worse for the wear. "Thomas is doing great," Lea exclaimed to The Sacramento Bee. "He is still recovering. Very tired and just wants to be beside us." The news of Thomas' triumph soon was flashed all over both mainstream as well as social media. His is the kind of story that both readers and the capitalist media alike love to wallow in but upon reflection it also leaves much to be desired in the candor department. Most importantly of all, it has not been adequately explained why that the Stockhams so cruelly and shamefully ran out on him. In particular, exactly where was he and Lea when he slipped out of her grasp? If they were indoors, she and her family do not have a valid excuse for not collecting him. If, for instance, he had scampered underneath a bed, it should have been dismantled on the spot so as to facilitate his apprehension and caging. That could not have taken very long and, besides, it and the entire house were destined to be consumed by the flames in any event. On the other hand, if he had run off somewhere outside there was not too much that the members of his family could have done for him. They nonetheless should have at the very least attempted to locate him. Furthermore, since the entire West Coast stretching from the Mexican border throughout British Columbia has become a tinderbox in recent years, no one residing alongside it has a good excuse for not being prepared in advance for the sudden outbreak of a wildfire. For cat owners, that entails no less than rounding up their companions and confining them indoors at the first report of an approaching conflagration. Under such circumstances, all that would be left for an owner to do is to grab the cat, put it in a cage, fire up the old jalopy, and then get out of harm's way. Those owners without automobiles are, unfortunately, pretty much dependent upon the benevolence of their neighbors and rescue personnel. In Sonoma County alone, hundreds more of them likely perished in the Tubbs Fire. Some of them either were homeless to begin with or belonged to TNR colonies but the vast majority of them, apparently, were abandoned by their owners. Even more repulsive, some of those owners still have not even so much as attempted to reclaim them. Their callousness, including that of the Stockhams, gives a hollow ring to their declarations of undying love. "It's a miracle...it's life-changing," Dani caroled to KTVU-TV. "It really changed the whole dynamic of our recovery." While it doubtlessly is a miracle that Thomas is still alive today, that is due solely to his own perseverance. Stockham and her family ran out on him in his hour of greatest need and therefore contributed absolutely nothing toward saving his life. Moreover, they were so eager to believe that he had been burned to death that they grabbed the first dead cat that they came across upon returning home, declared him to be Thomas, disposed of his corpse, and then curtly dismissed the entire matter from their minds. The only thing that can be said in their favor is that they are not the first individuals to have made such a colossal mistake. For example, in May of 2013 forty-eight-year-old Karen Jones of Mardol Road in Ashford, Kent, scooped up the lifeless body of a black cat that had been run down and killed by a hit-and-run motorist on Beecholme Drive in the Kennington section of Kent. 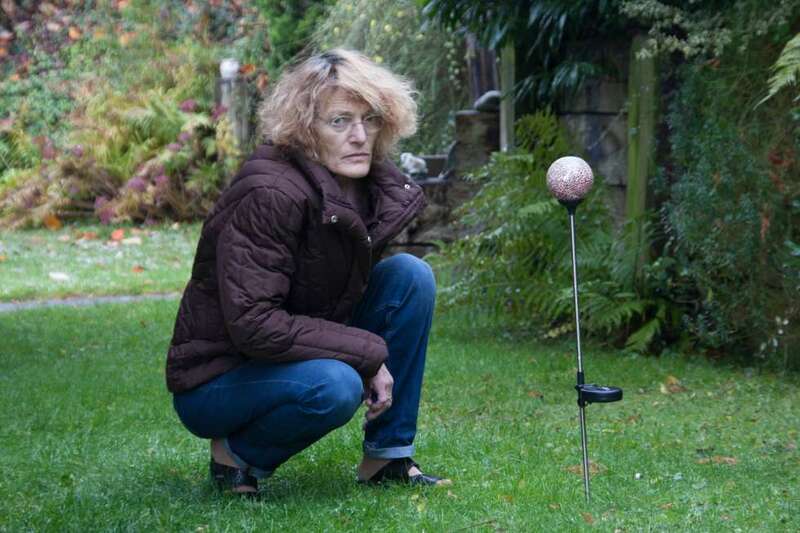 Believing it to have been her two-year-old cat, Norman, she eulogized it and buried it in her garden. It therefore was not until the following morning when he turned up for breakfast that she finally realized her faux pas. On January 25th of last year, thirty-five-year-old Matt Strong found a dead cat in the road outside his house on Barlow Moor Road in Manchester City that he mistook for his beloved three-year-old Gus. He accordingly took the cat's corpse home, buried it in his garden, and afterwards announced on Twitter that Gus was dead. The local politician got the shock of his life, however, when Gus later turned up for lunch. He nevertheless did have the decency to exhume the dead cat and take it to Ashleigh Veterinary Centre so as to provide its owner with an opportunity to reclaim his remains. It is not always easy to know exactly what to think about such aberrant behavior. On the one hand, it certainly would have been easy enough for the cats' respective owners to have made such glaring mistakes, especially if the corpses had been either badly mangled or charred. If that were not the case, their incorrect identifications likely can be attributed to either a lack of attention to detail or callousness. Plus, the owners more than likely had been not only anticipating their cats' demise but hoping for such dénouements as well. Jay and his trapping initiative is another matter of grave concern. Far from being the unqualified good that the media in the Bay Area would have the public to believe, it never has been publicly disclosed what he does with the cats that he traps. The most likely conclusion to be drawn from that simply deplorable situation is that he fobs them off on SCAS and other nearby shelters who, sooner or later, systematically liquidate them. That is how that all such hellhole institutions dispose of their excess "inventories." If there is any truth in that assertion, he most definitely is not a hero and he certainly is not doing the vast majority of the cats that he traps any favors. In fact, they would be far better off if he simply vacated the playing field and left them to their own devices. To incarcerate and kill such cats is not only morally indefensible but vividly demonstrates that they have far more to fear from mankind than natural disasters. The utter absurdity of trapping fire victims just to turn around and kill them leads to the suspicion that there could be an ulterior motive behind Jay's activities. 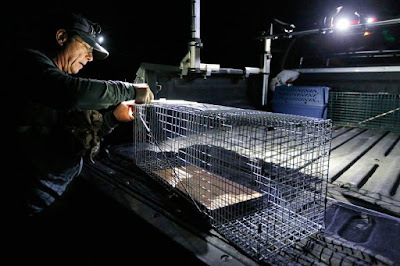 According to press reports, he has undertaken this trapping initiative of his own volition but considering the vast array of flashlights, trail cameras, thermal imaging scopes, night vision goggles, traps, and bait that he makes use of in his work that seems unlikely. Most damning of all, it is all but impossible to believe that anyone who works for the NPS could ever be on the side of cats. Thomas Is Now Safe and Sound but for How Long? The subject is almost never so much as even broached in the United States but implanted microchips do not do either deceased cats or their grieving owners one whit of good. That is because those officials who collect the former's corpses from streets and crime scenes are too lazy and callous to scan them for microchips. The same holds true for individuals. For instance, the Stockhams would not have buried the wrong cat if they had scanned the dead one that they had found on their porch. As far as Norman and Gus are concerned, it never was disclosed one way or the other if they had been chipped. It likewise is assumed that the cats buried in their would-be graves were not scanned either. Doing so would have required trips to either a veterinarian or a shelter and perhaps Jones, Strong, and the Stockhams were unwilling to have invested the time and money that such an exercise would have required. 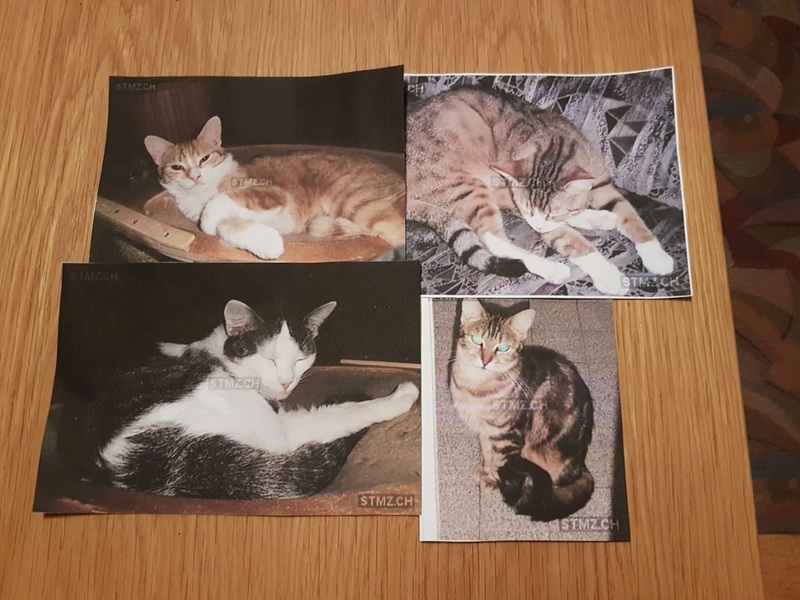 Also, the negative reports that they would have received would have placed them under a moral obligation to, at the very least, have inaugurated belated searches for their still missing cats. To sum up, microchips are of rather limited utility in that for every successful reunification that they help to facilitate, thousands of other lost cats are never heard from again. 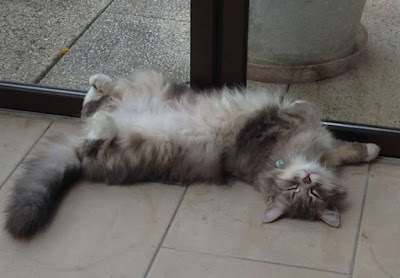 At the end of the day there simply is not any substitute for conscientious owners who regard the lives of their cats as sacrosanct and accordingly endeavor to do everything in their power to preserve them. Lastly, the severest criticism is reserved for the members of the Fourth Estate who once again have more than abundantly demonstrated that they care absolutely nothing about the welfare of cats. In this particular case, they have completely exonerated the Stockhams, shelters, and Jay of all wrongdoing by refusing to ask so much as one pertinent question about their behavior and activities. Even worse, that is merely par for the course as far as they are concerned in that the only topics that ever seem to interest them are either good cat survival stories or the outrageous lies disseminated by ornithologists, wildlife biologists, and other ailurophobes. The capitalist media's news coverage is simply god-awful everywhere but in the United States it is the absolute pits. Looking ahead, Thomas does not appear to be in any imminent danger. Even so, the Stockhams still reside in wildfire country and the outcome could be entirely different next summer if they do not endeavor to take better care of him by mending their callous and irresponsible guardianship of him. As things now stand, he is still very much on his own just like he was when the roaring flames of the Tubbs Fire consumed his home and threatened to claim his life. 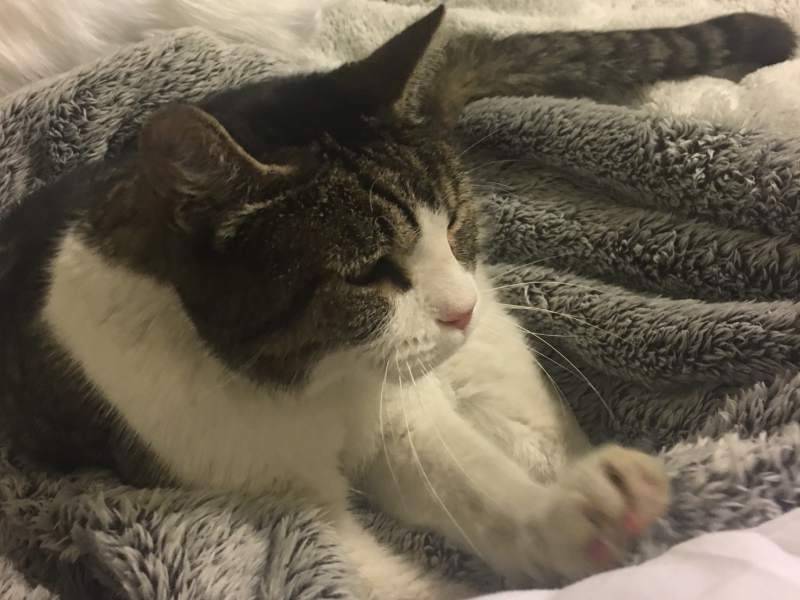 Somehow it just seems that in any society that makes the least little pretense about being compassionate and civilized that a faithful and devoted thirteen-year-old cat would be entitled to far better treatment than that. Photos: Dani Stockham (Thomas), Shannon Jay (Thomas in a cage), and Alvin Jordana of The Press Democrat of Santa Rosa (Jay). "Wir denken alle immer an Runa. Das Schlimmste ist die Realisation, was passiert ist." Runa was a beautiful, three-year-old, gray-colored Norwegian Forest Cat with a sprinkling of British Shorthair blood mixed in who liked to stay out nights roaming the streets of Oberrohrdorf, thirty kilometers northwest of Zurich in the canton on Aargau. What she did on those occasions is not known but since she, presumably, had been spayed, she most likely was either seeking the companionship of her fellow felines, raiding garbage cans or, perhaps, hunting mice. As far as it is known, she previously had not encountered any difficulties but her good luck not only ran out once and for all time but in harrowing and chilling fashion during the early morning hours of Friday, November 17th when she was abducted and brutally murdered by an assailant who remains at large to this very day. Press reports have not specified how that she was killed, but it would appear that she was bludgeoned to death. She may even have been tortured over an extended period of time. How all of that came about is likewise unknown. For instance, she could have been surprised by her assailant and clubbed over the head or, more likely, she was trapped and then killed. It is even possible that she could have been lured inside her killer's house by either an offer of food or because she already was acquainted with him. If that had constituted the sum total of all that had occurred on that horrible November morning that would have been bad enough in its own right but that was hardly the case. Once her assailant had either snuffed out her life or, more likely, rendered her unconscious, he proceeded to chop off her head. He, and this most assuredly was the act of a man, then afterwards transported her, most likely in either a cardboard box, plastic bag, or a sack, to the residence of fifty-nine-year-old Jordana Rebmann at Buacherstraße 6 where he hurriedly dumped her torso at the side of her house; it is not known what he did with her head. His initial intention apparently had been to deposit the end product of his devilry on her doorstep but he was thwarted in that design when his presence was detected. "Der Täter wurde vom Licht überrascht," Rebmann later theorized to Blick of Zurich on November 20th. (See "Angst vor dem Katzen-Köpfer.") "Genau dort erfasste ihn der Bewegungsmelder." In order to have known that, Rebmann, her husband Jörg, and their two children most likely were already awake and preparing for work and school. Also, since the Rebmanns have not reported having heard either a slamming door or an engine starting up, that is a pretty good indication that the culprit was on foot. It has not been explained why that the family failed to investigate what had activated their motion detectors. Perhaps they simply hoped that either whoever or whatever was on their front lawn would simply go away without attempting to break into their dwelling. Regardless of either the exact sequence of events or the time of day, it was Jörg who made the gruesome discovery when he, apparently sometime later, ventured out of doors. Kneeling down in order to examine Runa's remains, he quickly discovered that her body not only was still warm but oozing blood as well and that can only mean that she had been killed fairly recently, perhaps within as short a time span as an hour or two. It is painful to even contemplate the alternating states of shock, disbelief, horror, heartbreak, and fear that competed for dominance in Frau Rebmann's tortured soul once she had learned of what had been done to her beloved Runa. "Wir denken alle immer an Runa," she told the Aargauer Zeiting on November 20th. (See "Geköpfte Katze: 'Der Täter muss zurückgekommen sein'.") "Das Schlimmste ist die Realisation, was passiert ist." In killing Runa, the culprit also took away whatever sense of security that Rebmann previously had enjoyed while living in her one-family house in a quiet neighborhood that is only a Katzensprung (about three-hundred-fifty meters) removed from the Gemeindehaus at Ringstraße 2. "Hier ist vorher noch nie etwas Schlimmes passiert. Kein Einbruch, kein Brand, kein Mord," she testified to Blick. "Und jetzt das. "Warum nur?" She accordingly was unwilling to admit that Runa's killer was one of her supposedly respectable and law-abiding neighbors. "Wir haben keine Feinde," she declared to Blick. While that very well may have been previously true, her cat most definitely had made, for whatever reason, at least one mortal enemy in the neighborhood and that animus now extends to Rebmann and her family. Moreover, it certainly did not take very long for that realization to be driven home to her in unmistakable fashion. That occurred the very next day, Saturday, November 18th, when she accidentally found Runa's collar lying in the hedge near her outdoor patio. "Wäre es am Freitag schon da gewesen, hätte ich es gesehen," she deduced to Blick. "Der Täter kam also noch einmal züruck." Along about that same time, an unidentified next-door neighbor of hers found Runa's name tag but it has not been disclosed exactly where that discovery was made; most likely, it was found somewhere near the boundary line that separates their respective houses. 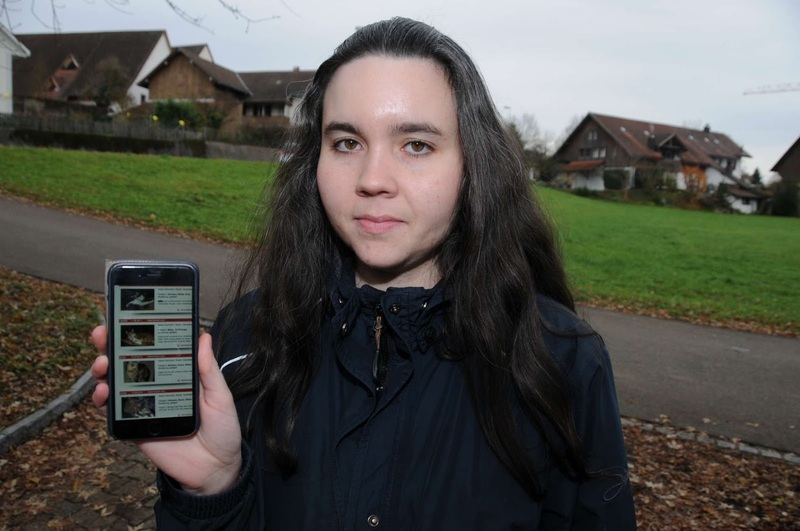 Regardless of where it was found, it was promptly turned over to the Kantonspolizei Aargau in Aarau, twenty-eight kilometers west of Oberrohrdorf. Those twin discoveries ultimately proved to be every bit as frightening as they were chilling. First of all, they strongly imply that Runa's killer made at least two, and possibly three, separate trips to Rebmann's Grundstück. Secondly, given that Runa's collar was the type that can only be gotten off by cutting it in two, the mere fact that it was still intact means that it either fell off or was removed after she had been decapitated. Thirdly, assuming that the killer did not already know who that Runa belonged to, he doubtlessly obtained that piece of vital information from her name tag. The implications of that revelation certainly were not lost on Rebmann. 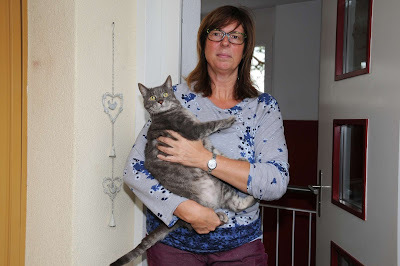 "Wer eine Katze so töten kann, ist ein gefährlicher Mensch," she declared to Blick. "Wir haben Angst." Longtime Oberrohrdorfer Gemeindeammann Kurt Scherer, sixty-six, echoed those dire sentiments. "So etwas hat es bei uns noch nie gegeben," he told Blick on November 21st. (See "'So obscheulich, als würde man ein Kind misshandeln'.") "Das ist einfach nur brutal, was man Runa angetan hat. Das ist so abscheulich, als würde man ein Kind misshandeln." Although those who have studied serial killers have noted that they often began their killing sprees by preying upon cats and other small animals, that is by no means always the case. In particular, numerous cat killers have been unmasked as inveterate cowards who would not so much as dare to attack a human. It therefore is far from clear if Rebmann and her family are in any imminent danger from Runa's killer. Upon finding Runa's remains in her garden, Rebmann did the right thing by taking them to an unidentified veterinarian for a necropsy. "Er hat so etwas noch nie gesehen," she afterwards told Blick in the November 20th article cited supra. The stripping away of that last vestige of solace was sufficient in order to have had a deleterious effect upon both her physical and mental health. In particular, it caused her to have a nervous breakdown at the office where she works as a mechanical engineer and that in turn necessitated that she had to be driven home by a co-worker. "Ich musste mich hinsetzen. Mir war übel, und ich hatte überhaupt keine Kraft mehr," she disclosed to Blick on November 28th. "Meine Gedanken drehen sich die ganze Zeit um diese grausame Tat." It is even far worse for her whenever she is at home. "Seit der Nachricht (of the necropsy) wage ich mich fast nicht mehr in den Garten," she added to Blick. "Jedes Mal, wenn ich zur Grüngut-Tonne gehe oder eine Zigarette draussen rauche, habe ich ein ungutes Gefühl und schaue mich um, ob sich vielleicht jemand im Garten versteck." As it is almost universally the case whenever a cat is murdered, absolutely nothing apparently is being done in order to apprehend Runa's killer. For instance, the only support that Rebmann and her family have received so far from the local political establishment has been a proverbial feast of insincere rhetoric. "Wir haben bei uns in der Gemeinde die Regionalpolizei (Kantonspolizei Aargau), und seit einiger Zeit patrouillieren die Alpha Security (of Kirchdorf, one-hundred-twenty-six kilometers southwest of Oberrohrdorf)," Scherer told Blick on November 21st. "Seither gab es so gut wie keine Zwischenfälle -- bis jetzt." Whereas preventing future cat killings is certainly a worthy goal, Scherer's spiel tap dances around the more pressing issue of bringing Runa's killer to justice. The good-for-nothing Kantonspolizei Aargau likewise have been long on the palaver but awfully short on action. "Es geht hier um eine Widerhandlung gegen das Tierschutzgesetz," was the sum total of all that the force's Rafael Geiser had to say to Blick on November 20th. His fellow officer, Berhhard Graser, has been every bit as unforthcoming. "Das Ermittlungen laufen auf Hochtouren," was all that he relayed to Blick on November 28th. As best as it could be determined, neither the Aargauischer Tierschutzverein in Untersiggenthal, twelve kilometers northwest of Oberrohrdorf, nor the Schweizerischen Tiermeldezentrale of Hergiswil, seventy-three kilometers south of Oberrohrdorf, have even so much as commented upon, let alone opened investigations, into Runa's brutal murder. They likewise have not offered any rewards for information that might lead to an arrest. It has been pointed out before but crimes committed against cats never will be solved unless the police and animal protection groups can, somehow, be prevailed upon to take them seriously and that entails, above all, a willingness to commit the money and manpower that their resolution deserve and require. Secondly, the same investigatory procedures and sound principles of forensic science that are used in order to solve other types of crimes must be applied in resolving those that are perpetrated against cats. For example, if the police and politicians merely ran off at the mouth every time that a citizen was either robbed or killed they not only never would solve a single case but nobody's property and life would be worth so much as a plugged nickel. Yet, that is precisely the balderdash that they so freely dole out to aggrieved owners every time that one of their cats is killed. Consequently, it is not the least bit surprising that these types of hideous crimes continue to proliferate. In Runa's case, just about all of the pertinent rules of evidence gathering were systematically ignored. Most obviously, both her collar and name tag should have been dusted not only for fingerprints but other forensic evidence as well. Evidence likewise should have been carefully collected from underneath her claws as well as her teeth. Unless her assailant was an especially proficient and skillful killer of cats, she likely was able to have gotten a piece of him and that DNA evidence could have been matched up to him directly or, if he has a previous criminal record, compared to other such data that has been logged into police databanks. Although considerably less promising, her fur should have been thoroughly combed for additional evidence. For example, it could have contained microscopic particles from her assailant's person (hair), clothing, house, and the instruments that he used in order to beat her to death. Trained laboratory technicians then might have been able to have used that data in order to facilitate the making of an arrest. Rebmann's garden also should have been treated as a crime scene and accordingly gone over with a fine-tooth comb in a search for footprints, blood, and other evidence. It is entirely conceivable that the killer could have left behind a faint trail of blood that led back to his house. As far as it has been revealed, none of that was done and now it is, regrettably, too late for the derelict authorities to make amends. The evidence is gone and Runa's remains, in all probability, have been either buried, burned, or thrown out in the trash. The only known lead to have surfaced so far has come courtesy from another unidentified next-door neighbor who claims to have seen a mysterious young man in the neighborhood on the evening of November 18th. When approached, he claimed to have been lost before quickly beating a hasty retreat. That is not much to go on and it is hardly worth pursuing unless he should be spotted again in the neighborhood and is subsequently unable to provide a valid explanation for his presence. Generally speaking, however, the killing of Runa does not appear to have been a random act of violence perpetrated by someone from outside the area. In that regard, the authorities actually have at their disposal considerably more to go on than they may realize. First of all, the perpetrator of this heinous crime is someone with a long-term, ingrained hatred of cats and that petit fait is verified by the fact that he endeavored to inflict as much punishment upon Runa as possible by beating her to death before decapitating her. Secondly, he wanted so badly to make Rebmann and her family suffer that he twice risked capture by returning Runa's body and collar to her garden. He therefore is not only a ruthless and remorseless killer but a daring individual who fervently believes that he either will not be apprehended or, if so, not punished. He is so dedicated to his cause that he is willing not only to stay up all night but out on the forlorn streets as well in order to commit his crimes. Finally, he travels on foot and that can only mean that, contrary to Rebmann's thinking, he is one of her neighbors. She possibly could even be acquainted with him. Since it is not known where and how far Runa's nighttime rambles took her, it is impossible to say whether her assailant lives near Rebmann or several blocks removed. Nonetheless, it would be surprising if he does not reside within easy walking distance for both him and Runa. Convincing cat owners that they live in a world chock-full of supremely evil people is a huge part of the problem when it comes to both safeguarding the lives of cats as well as apprehending those who abuse and kill them. That dilemma is further compounded by the fact that evil more often than not goes hand in hand with duplicity. C'est-à-dire, most individuals in this world are not only Janus-faced but twenty-faced as well. Nobody accordingly really knows for sure the almost limitless array of simply god-awful and diabolical crimes that their seemingly respectable bourgeois neighbors are fully capable of committing against cats. As of yet there is not so much as a shred of evidence linking any ornithologist, amateur or professional, to Runa's murder but the methodology and utter savagery of it most assuredly point in that direction. For example on December 13, 2010, seventy-four-year-old amateur ornithologist Ernst Bernhard K. from the Moosach section of München trapped his neighbor's cat, Rocco, and then proceeded to starve and torture him with water and pepper spray over an extended eleven-day period. If against all odds anyone in Oberrohrdorf should have even the tiniest bit of interest in bringing Runa's killer to justice, a good place to start would be by identifying all bird lovers living in Rebmann's neighborhood. That task might even be as simple as peering into gardens for the presence of bird houses and feeders. Warrants then could be procured for extensive searches of the premises. If even so much as trace amounts of Runa's blood and fur were to be found, the police then would have her killer. Rebmann's confidence in the innocence of her neighbors is all the more baffling in light of the fact that there have been a number of unexplained disappearances of cats from the area in recent years. 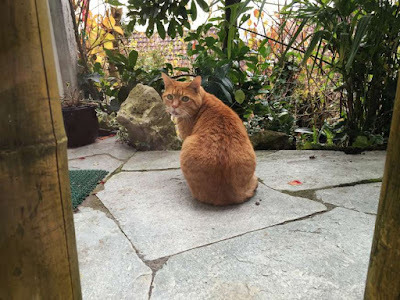 For example, four felines belonging to twenty-eight-year-old Philomena Füglistaler have mysteriously disappeared without so much as a trace during the past three years. Specifically, eighteen-month-old Max vanished in 2014. Two-year-old Degerli likewise disappeared a year later. In 2017 alone, she lost one-year-old cats Loris and Charley. Their disappearances proved to be the last straw as far as she was concerned and she accordingly moved out of the area in October. "Sie kamen einfach nicht mehr heim," she told Blick on November 21st. (See "'Wir haben keine ruhige Minute mehr!'") "Busi kriegt man ja legal." Given that Füglistaler's cats vanished into seemingly thin air, no one is able to say exactly what happened to them, but in Runa's case she most definitely was not killed for either her flesh, fur, or science. That does not necessarily mean, however, that their fates are unrelated. Au contraire, all of them more than likely were killed by the same culprit. The only difference being that with Runa the killer wanted to make a far bolder and graphic display of his hatred for cats. That, too, would be in keeping with the modus operandi of ornithologists who usually are long-term, serial abusers and killers of cats whose crimes escalate in severity and scope the more emboldened that they become in their lawlessness and devilry. Since there normally are not any songbirds out at night for cats to hunt even if they should be so inclined, that raises the suspicion that it was Runa's daytime activities that got her into trouble. Since Rebmann and her family allowed her to stay out all night, there is a good possibility that they also turned her loose to roam while they were away at work and school. As a consequence, they had little or no idea what she was doing both day and night and under almost any scenario that is a ready-made prescription for disaster. Compounding matters further, she was an extremely friendly cat. "Sie war sehr zutraulich und verspielt," Rebmann told Blick in the November 20th article cited supra. "Man konnte sie leicht anlocken und streicheln." She therefore could have unwittingly walked into the hands of her killer. Given that friendly and trusting cats are quite often victimized by miscreants, it is not a good idea to either socialize a cat too much or to allow it to accept food and milk from strangers. Every bit as important, owners need to know who and what types of individuals and animals inhabit their neighborhoods. If their cats should choose to stray from their gardens, they likewise need to trail them in order to find out where that they are going and what they are doing. Runa's killing not only has unnerved Rebmann and her family but her fellow cat owners in the neighborhood as well. For instance, when twelve-year-old Ronny recently stayed away from home for several days his owners, eighty-seven-year-old Arthur Ulrich and eighty-one-year-old Margrit Wasser, feared the worst. "Wir haben jetzt keine ruhige Minute mehr!" Ulrich testified to Blick in the November 21st article cited supra. "Denn Ronny war schon mal vier Tag nicht heimgekehrt. Er kam dann wieder." Even so, the couple seems to be resigned to losing him to the sadistic killer that is running loose in their neighborhood. "Wir können ihn nicht drin behalten," Wasser added to Blick. At least Ronny is said not to be a friendly cat and that just might be sufficient in order to save his life. Nevertheless, it must always be borne in mind that although ornithologists much prefer to slowly torture the life out of their victims, they are more than willing to settle for either shooting or poisoning them if they are unable to get their hands on them. "Er ist erschreckend, was hier im Quartier passiert ist," forty-nine-year-old pediatric nurse Monika Diebold related to Blick on November 21st. "Man sollte ein Tier doch noch rauslassen können!" While that would be ideal, she is playing Russian roulette with the life of her nine-year-old gray cat, Mia, if she continues to allow her to roam under the current circumstances. At the very least she should always supervise her rambles and keep her inside at night and during the day when she is away at work. If they have not done so already, residents of the area might want to consider installing surveillance cameras outside their houses. If they ultimately should choose to do so, it is imperative that they purchase multiple cameras that take good quality photographs from multiple angles. Grainy, distant shots of fleeing suspects in hoods and hats are of little value. On the other hand, good-quality cameras can be effective in identifying suspects. They do not, however, save feline lives. The most pressing issue at the moment facing residents of Oberrohrdorf is the identification and apprehension of Runa's killer. After that, nothing short of either life imprisonment or, law permitting, his execution will suffice. 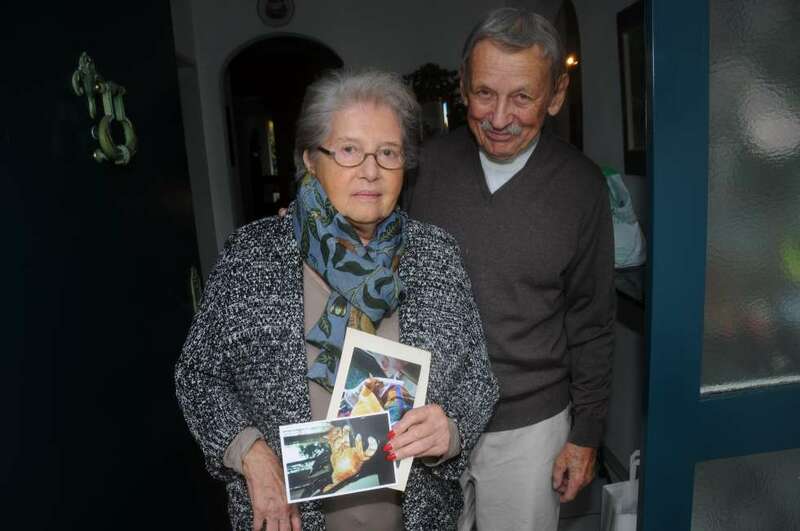 "Die schrecklichen Bilder lassen mich nicht mehr los," Rebmann declared to Blick on November 20th and nothing, not even the arrest of Runa's killer, is likely to change that. She has been irreparably scarred for life. Such a development nevertheless would expose this monster and, perhaps, even get him off the streets for a while and that unquestionably would save the lives of other cats that reside in the neighborhood. It will not bring Runa back, however. The damage has been done and she, sadly, is gone forever. Photos: Jordana Rebmann (Runa), Beat Michel of Blick (Rebmann), and Ralph Dongli of Blick (Füglistaler, her missing cats, Wasser and Ulrich, Ronny, and Mia with Diebold).